We all have kids in our lives that we want to make something special for. Join Michelle as she shows you how to make a composition book cover. 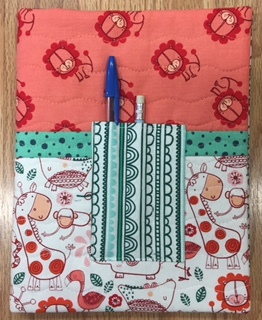 She will show you how to personalize it and add a pencil holder. This is a quick project you can sew up as a gift. Class fee includes pattern.